If you are an expat living in Amman and have not yet gone to the Royal Automobile Museum, you really must. 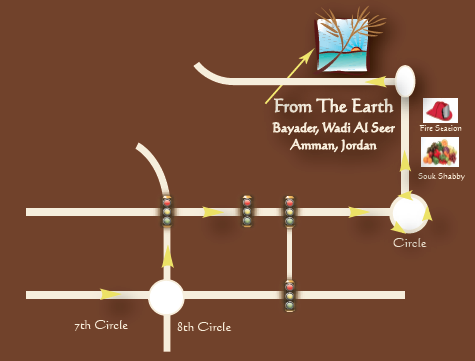 After one visit, we are sure that you will add it to your visitor tours of Amman. Not only will you see beautiful cars from all decades, but you will also learn about the history of Jordan and the Royal Family, including their love for motorcycles. The Royal Automobile Museum is located in the lovely King Hussein Park. Here you will also find the Children's Museum. We wrote about the Children's Museum about a year ago. Check out our blog post for more information. The costs for the visit are minimal considering all that you will learn and see. If you are walking really slow, the visit could take 1-3 hours, but if you are not interested in reading the signs, it would be closer to the one hour mark. Also, don't forget that if you do have visitors in Jordan, bring them to our showroom in Bayader Wadi Seer to purchase authentic, handmade in Jordan gift/souvenir items. Each purchase supports fair trade business practices in Jordan.